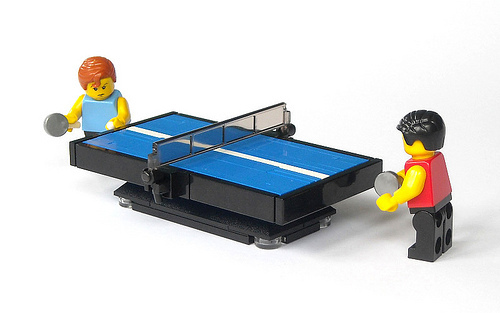 Michael Jasper‘s table tennis scene is as usual an inspiration in parts usage. Can you find the ping-pong ball? Clever, I spotted the ball fairly quickly.